I suspect that your boost fluctuation may be your wastegate being overwhelmed. Porting the wastegate (so it can open wider) on your turbos may solve your problem. I'm gonna tee in to the charge relief valve and see the operation from the solenoid. Or maybe there's something going on in the butterfly valve causing pulsing boost from the secondary. Last edited by Macen; 08-29-16 at 10:11 AM. 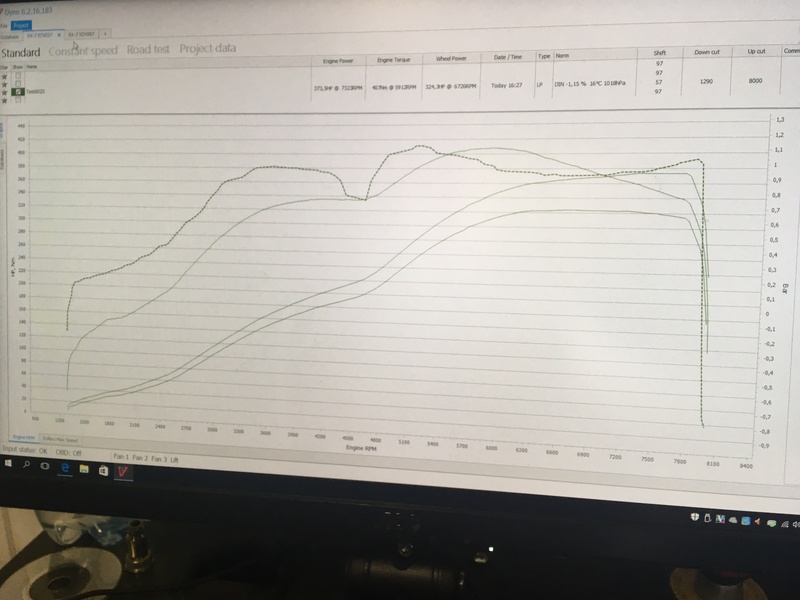 I pressure tested the wastegate actuator and it started to move at around 8-9 psi and opened more and more until I reached 14 psi, and it held the pressure. I also found some oil spray around the gasket between the y-pipe and the crosspipe so I'm gonna replace that one. I connected my boost gauge to the charge control actuator and it behaves just like it should; vacuum until 4500rpm followed by pressure. Once the revs goes below 3000rpm vacuum is applied. I then connected the gauge to the outlet from the secondary turbo. The vacuum/pressure line goes from the y-pipe to the upper intake manifold and then to the charge relief solenoid and charge control solenoid. I can see that the boost pressure from the secondary turbo is above 1.0 bar/14 psi (and bounces). At the Commander the boost pressure is approximately 0.75 bar/10.5 psi. 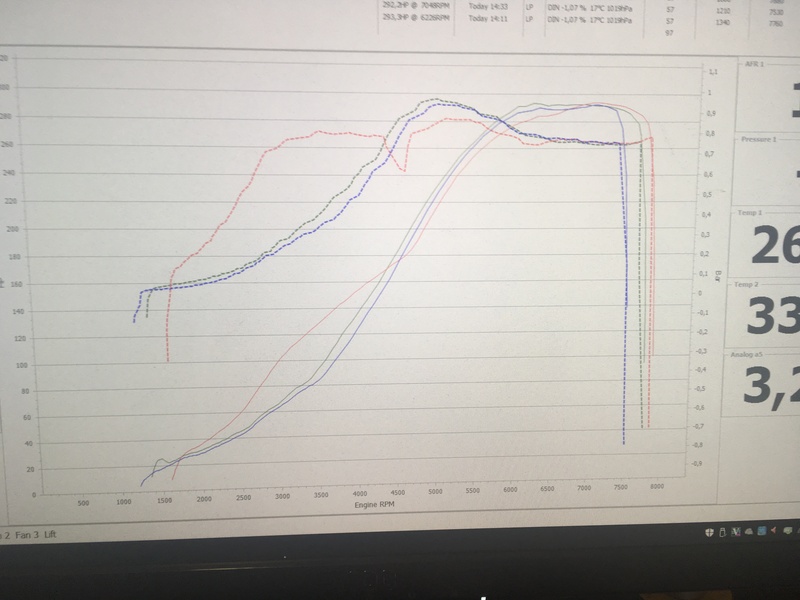 So I guess that I have a boost leak somewhere as I don't think that it's normal that I loose 0.25 bar / 3.5 psi between the turbo and the intake. Last edited by Macen; 09-09-16 at 02:56 PM. I found this old thread with the exact same problem. I have searched and read so many threads and finally found this one. I'm gonna see if I can get another PFC. The operation of the turbo control pressure side is all ok. So either PFC problem or maybe the map sensor is faulty? You need a Datalogit to take logs and troubleshoot. It is not optional. You MUST know how the boost control solenoids and actuator controls or switching. Or take it to a shop. Yeah, I will take it to my tuner next weekend and do some logging. I will probably go non-sequentiall also. Gonna replace the WG solenoid with a Mac one. Finally the problem is solved. I went to the tuner with another PFC. We swapped them and the fluctuation was gone. I also did test poor man's non-sequential, but the gain at the middle range was not that much and the loss at low range were too much (green and blue are non-seq, red is seq in the graph). So I'll stick with the sequential until it starts rain single turbos from the sky. I bought a MAC 3-way valve to replace the stock wastegate solenoid. The transition was quicker and the boost more stable. I think I will replace the PC solenoid as well. At 0.9 bar I got 375 hp in the engine and 325 hp at the wheels. Last edited by Macen; 10-09-16 at 01:02 AM. Need Help with Clutch Bleeding!! !